They didn't. I, and many others, did. I've never had, or heard of, any problems. Every fastener S/S (since 94) and any other item available in S/S is fitted to my Bonnie. The Tiger is easy, plastic and barely any uncoated metal or chrome plated components requiring regular replacement due to rust. H & S regarding chemicals means todays chrome is little more than decorative standard, no longer hard wearing like original Meriden Triumph plated parts. Boys in the club who've done a proper restoration job, had all the undamaged original fasteners re-plated. 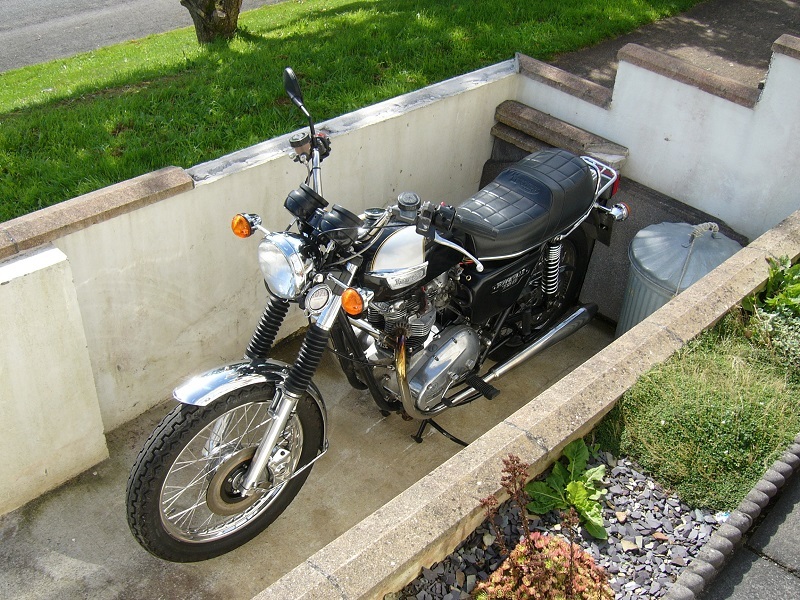 My Bonnie has always been ungaraged and for riding (was often my only transport 24/7) so I have no interest in 100% show standard. I have little/no time for maintenance or cleaning so lots of practical (but discreet) low maintenance & reliability mods have been done …. quite a long list. That's a bit too nice to leave for the binmen to collect. Actually they won't touch the bin there …. it has to be put on the boundary, so half on the public path and half in the bike bay entrance. They get confused enough with the fact I still put out a conventional bin, we were given weighted raffia type bags (1x brown & 1x green) to use because being up a bank from the road they wouldn't allow us wheelie bins, trouble is on a windy day you see bags blowing down the road (but not my dustbin - has a slab of stone in the bottom ).